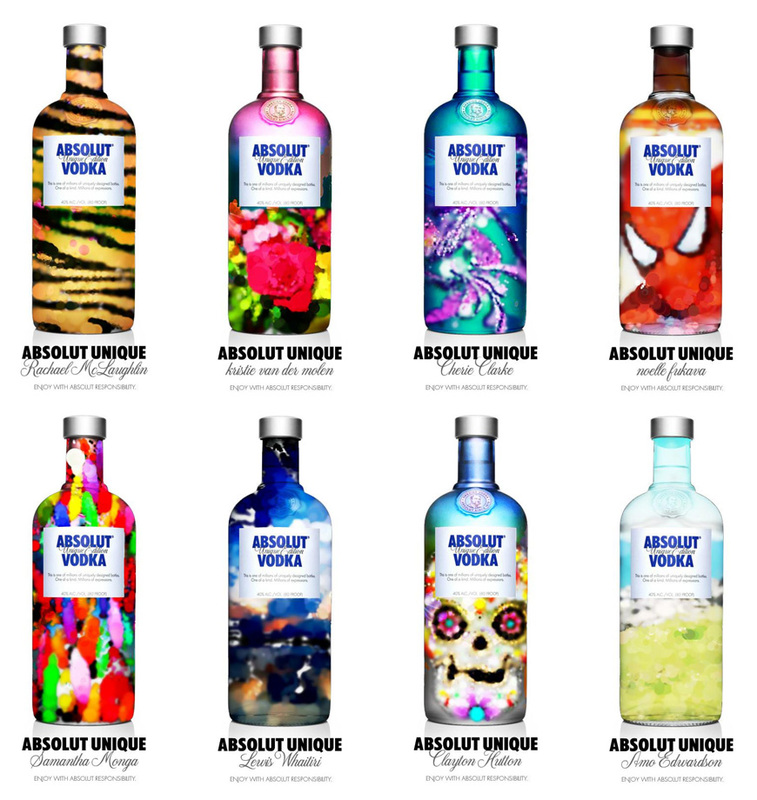 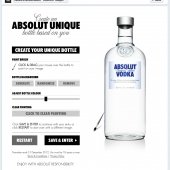 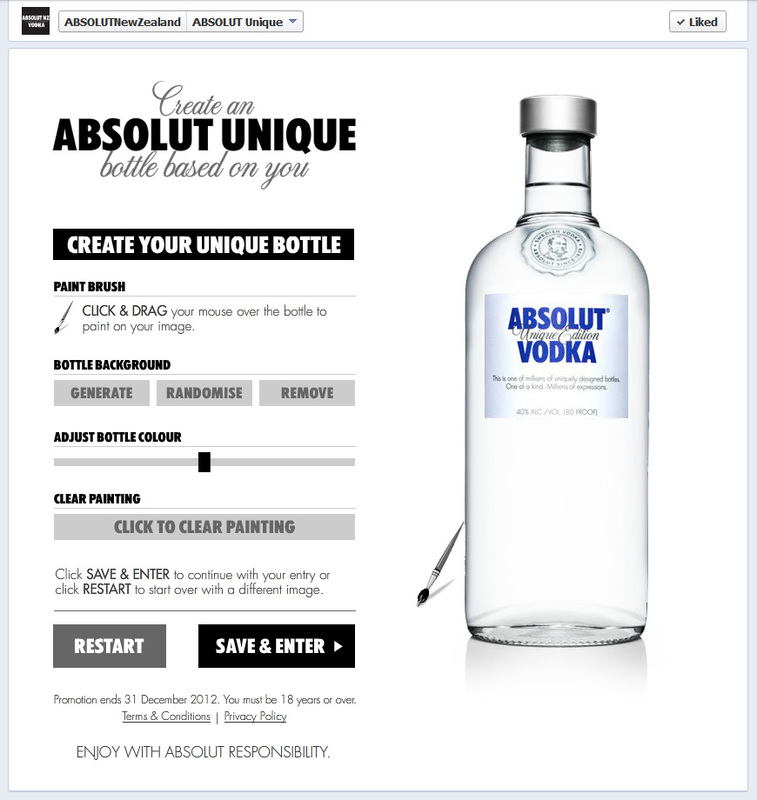 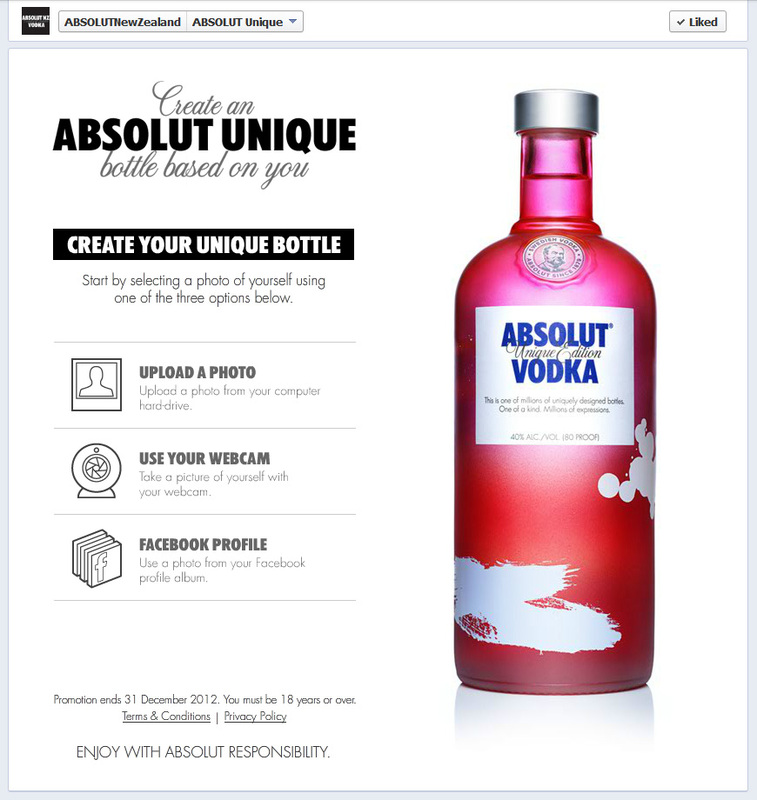 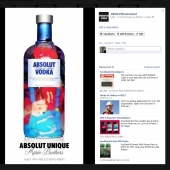 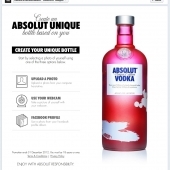 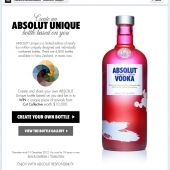 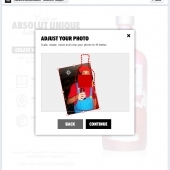 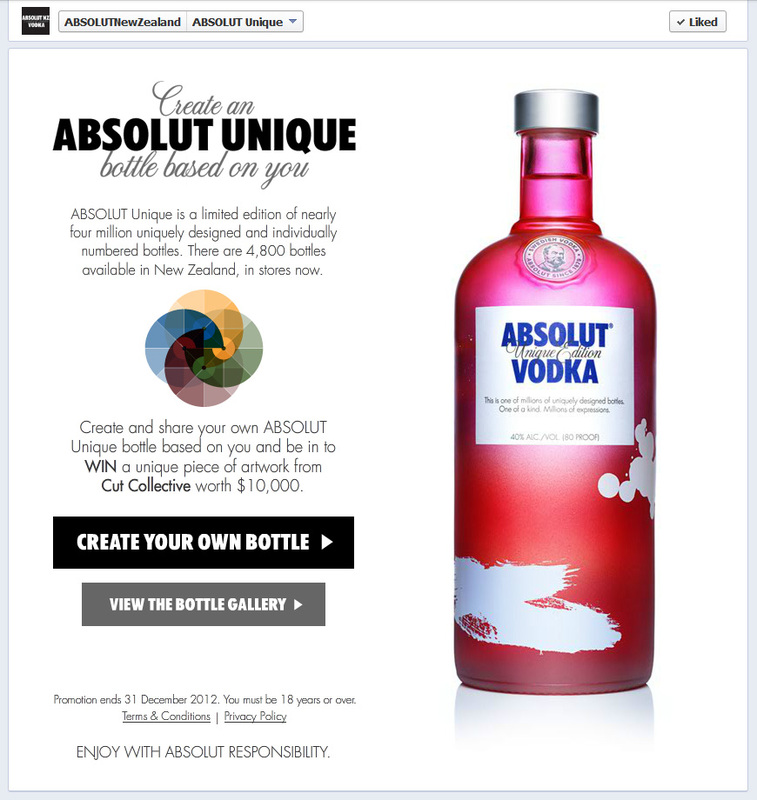 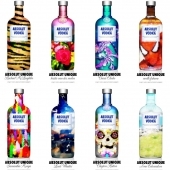 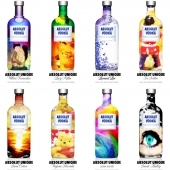 To promote the newly launched Absolut Unique bottles, Ogilvy created a Facebook App that allows the user to create their own unique bottle. 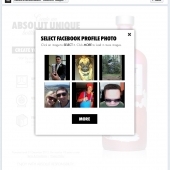 You could create your own bottle using an uploaded image, Facebook profile images or using your webcam. 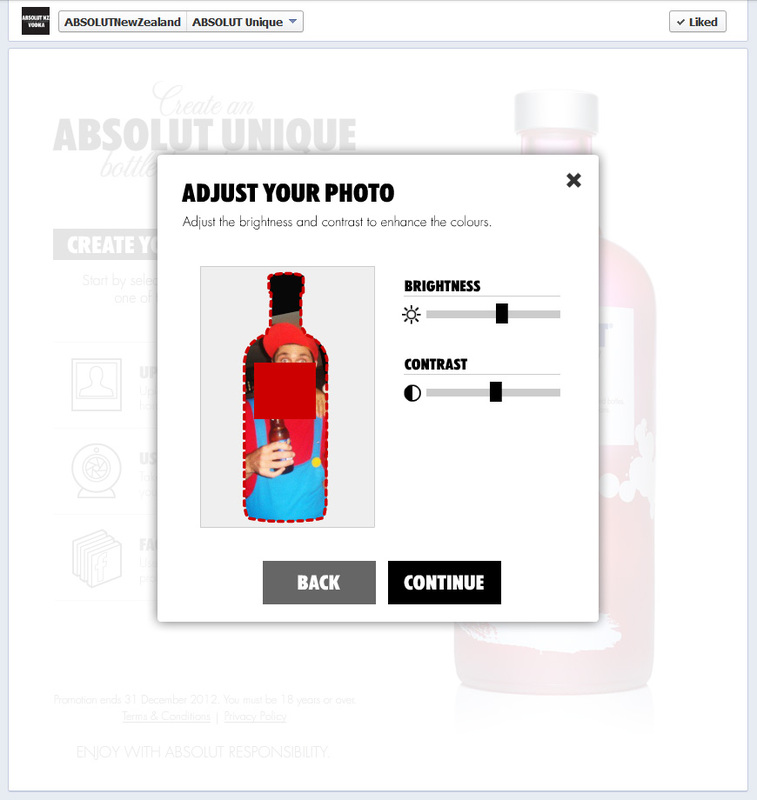 Once the image is resized to a bottle guide you can tweak the contrast and brightness for a better image. 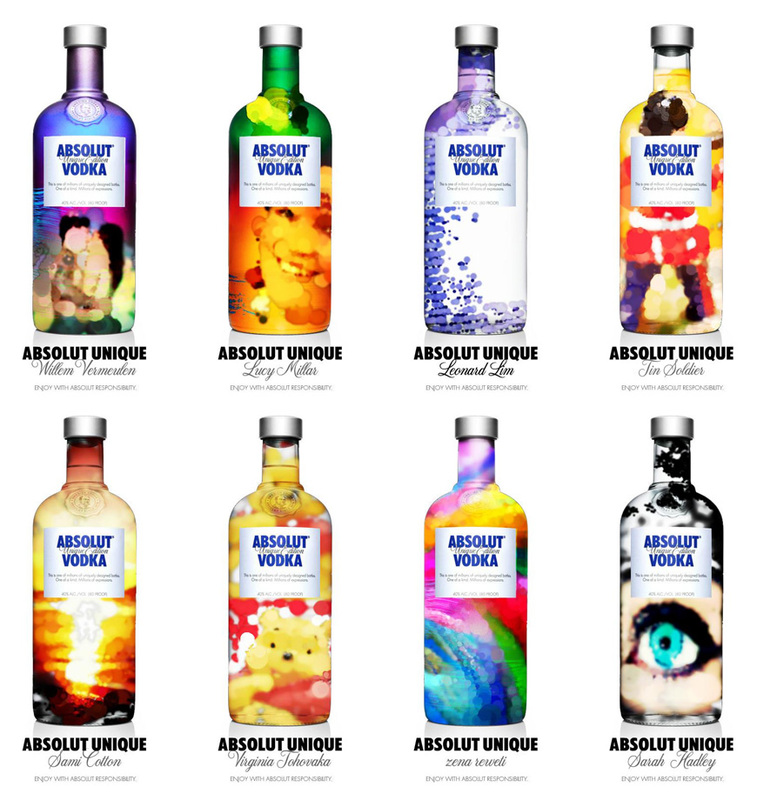 Then this image is used to paint on a unique bottle. 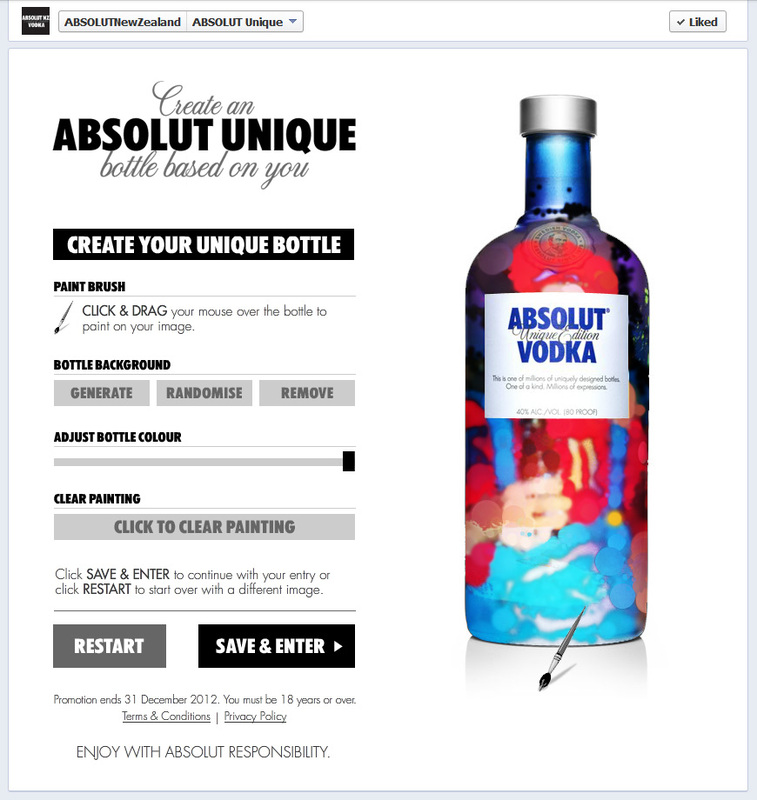 You can paint as little or as much as you like in a stylized effect. 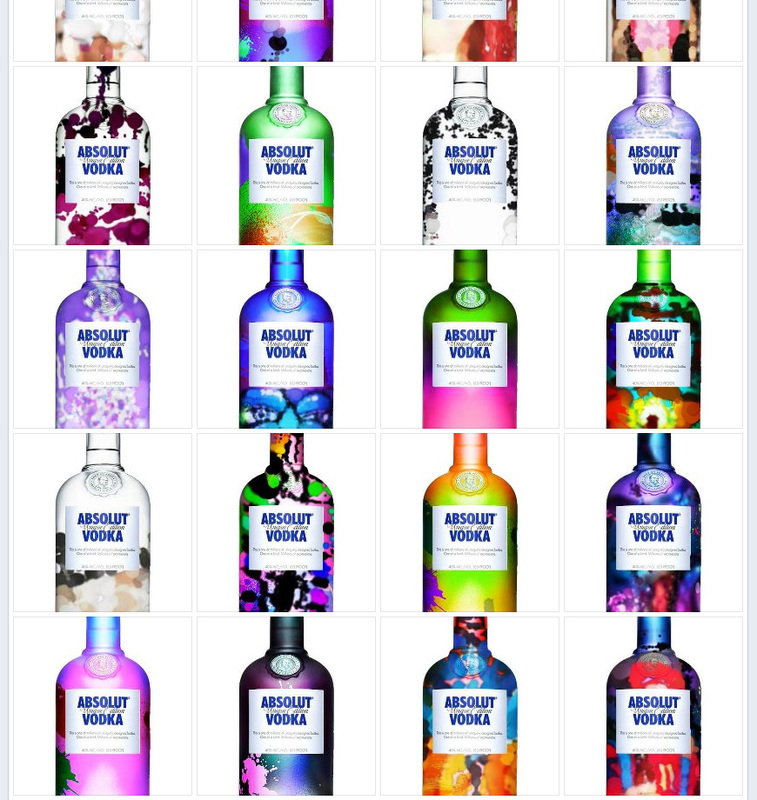 There are also random background images to add which you can also hue shift the colour for more variation. 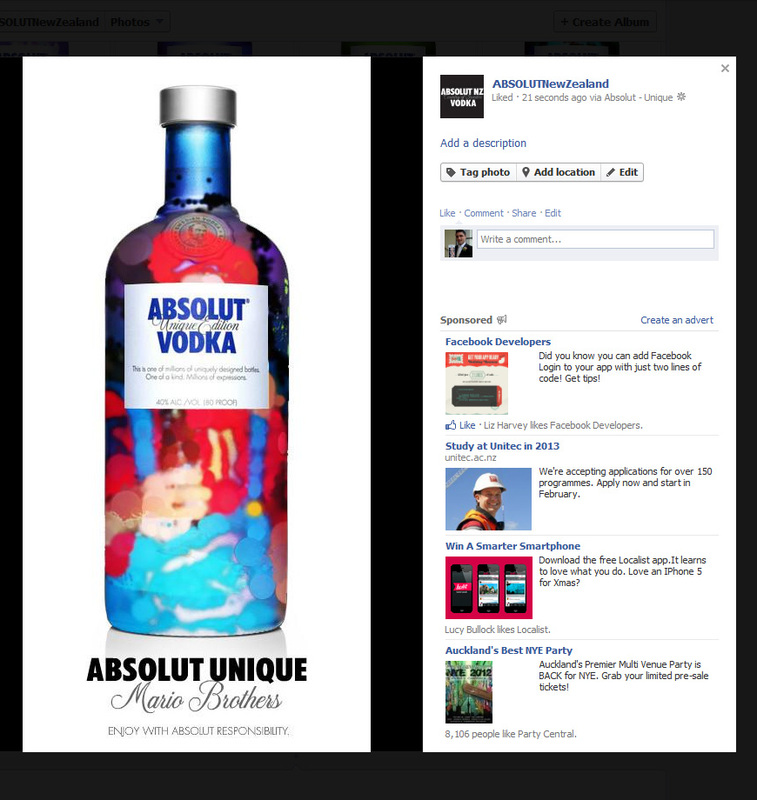 The concept was well received by fans of Absolut on Facebook. 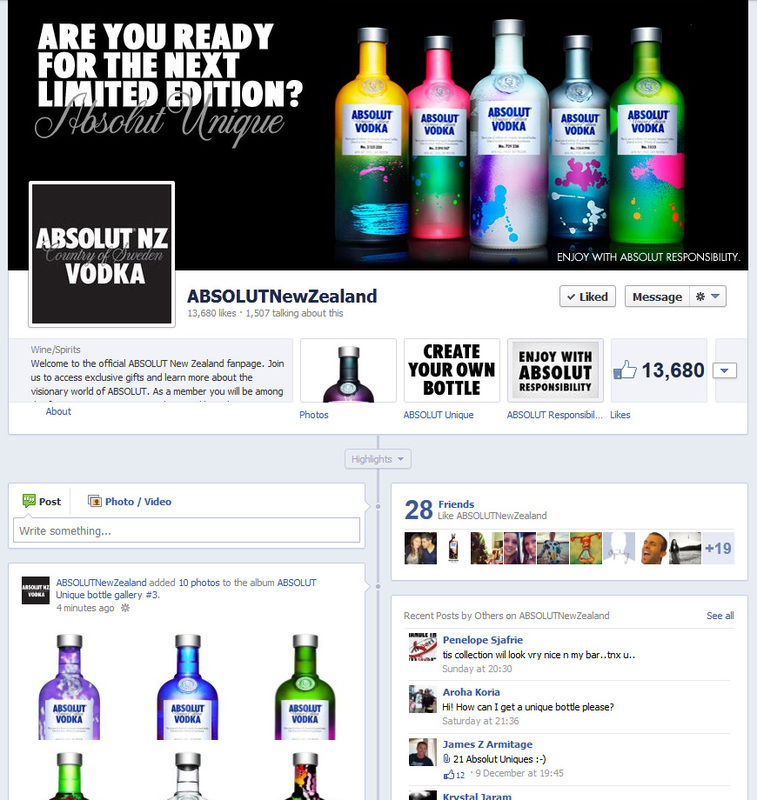 Page likes went from 2,580 to 13,669 in a couple of weeks. 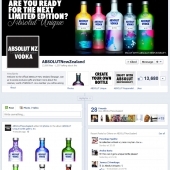 The page reach increasing from 8,558 to 542,221 at the peak. 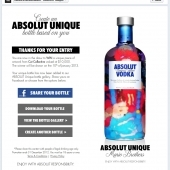 Over 2,300 bottles were created and shared amongst users friends. 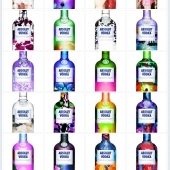 The variation of bottles and creativity of the users was amazing. 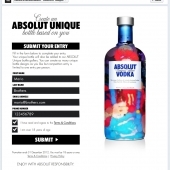 Role: I was responsible for the front end build, working closely with the back end developer to save entries into the database. 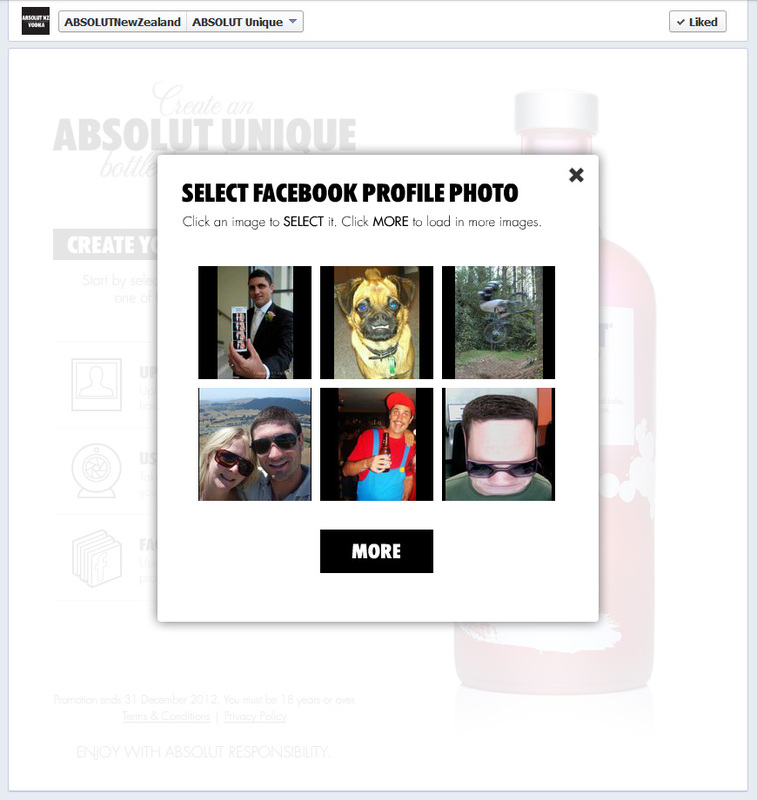 The JS Facebook API was used to pull in the users profile pictures and accept application permissions. 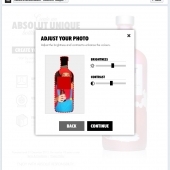 Greensock Transform Manager tool was used to resize and position the images on the bottle. 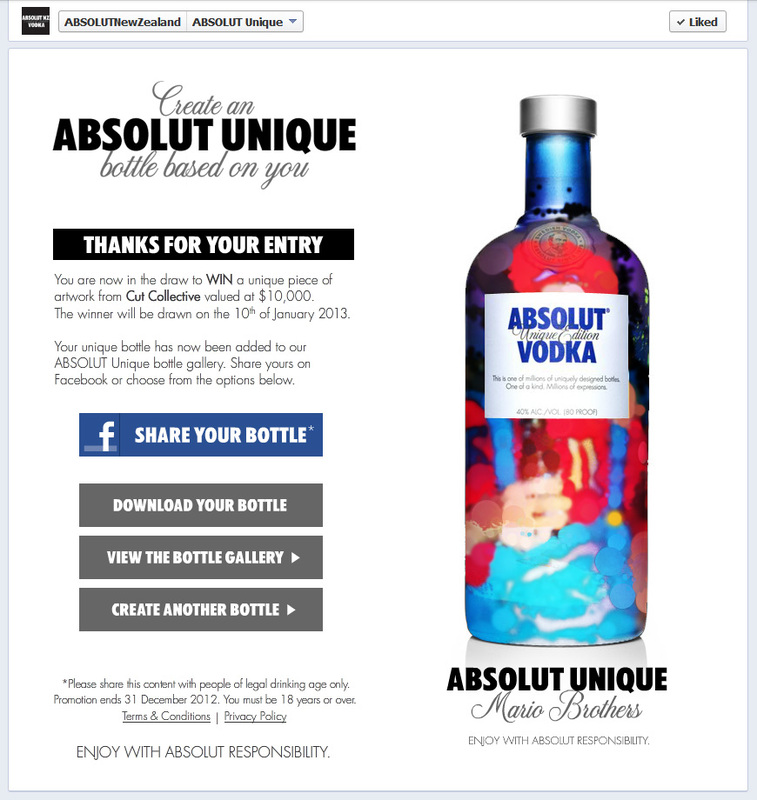 The painting on the bottle was using a bitmapData circle draw class that references colour from the uploaded image. The bitmapData was passed to the backend as a byte array and then uploaded to Absolut’s photo gallery for all to see. 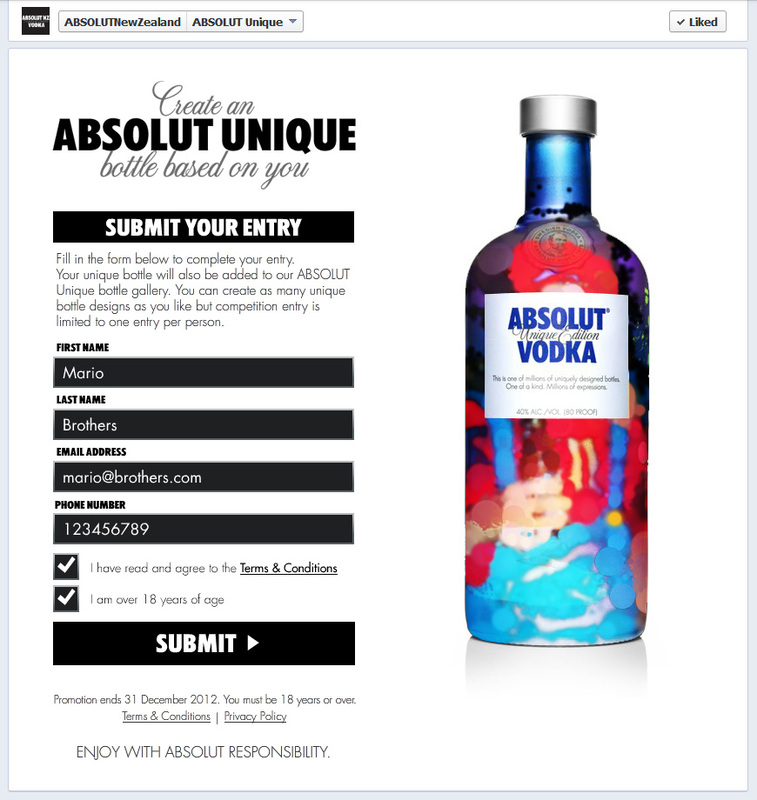 The users name was also added beneath the bottle to make it feel personal. 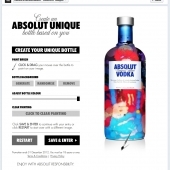 Any duplicates were blocked and a profanity filter was applied to stop any undesireable language being used.